Murphy’s Law and Social Media Melt Down! 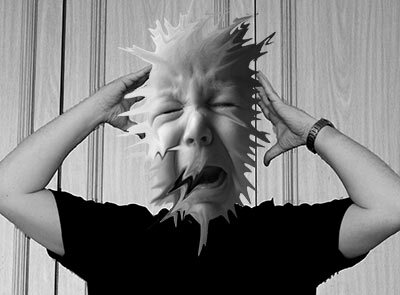 I have just had a social media meltdown! Up until now I have always thought that the overwhelming nature of social media was a bit over-rated. I have always hated auto-responders and would prefer call every body by name and talk to them myself. Then I started to publicize my book and I am going mad!  NB* (Try the new clearer worksheet) How to Make a Jigzone_Jigsaw. This is the neat PDF Version. You can download and print off the instructions for the students. Let me know if you have suggestions about what would make this easier for you. I was merrily writing Blog posts and posting them not realizing that the Publicize function of WordPress was posting the articles and then each time Facebook posted Twittered copied and on it went in a loop. They say never to turn the Publicize feature off – but I have! I think people often thought I was on Facebook when I was actually off writing articles, teaching workshops and doing research. 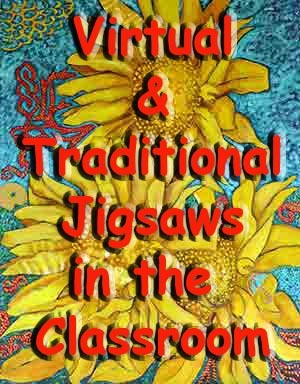 In the article above, I began to publicize the pre-release of the workbook for Virtual and Traditional Jigsaws in the Classroom and put a form on a Blog saying that I would let people know when the first short, promo came out. I actually did that to find out how and whether the form function works. It works! I was swamped. This was great, but soon I realized why people have auto-responders. Idealistic notions left me. Then (unfortunately) I let fly on someone’s Blog. Right properly told everyone what I thought of what was being said. Now I am getting mail from people who agree with me! The problem with me is I am learning about how social media functions the long, slow, hard way. I am about to take everything off everything automatic except the auto-responder (If I ever work out how to put one on) and pingomatic. I will start this learning process again more slowly. I was doing things like accepting short contracts, quoting my hours and then finding that it was going to take me much longer than I anticipated. Murphy Creates Her Own New Law! I am going to make a new law for Murphy. One thing a day and don’t start a new task or accept a new contract until, the last one is finalized. I think there is a little lesson for teachers here. If you are going to start a classroom Blog take it very slowly at first. Don’t let yourself become overwhelmed by trying to do it all at once. The workbook has been designed so that teachers can try exercises one a time to see whether they like this project based way of working. The first book is a promo and there is no need to buy the second one if you can just work it out for yourself and get up and running. My advice is just take it easy. I believe Transmedia will be one of the most liberating phenomenon of the 21st Century. If it is approached too quickly it could also become the most overwhelming tangle of the entire history of the world! Global Citizens Creative Arts Text. Kindle. This entry was posted in audience viewer and tagged doing one thing at a time, murphy's greatest amendment, murphy's law, not multi-tasking, overwhelm, social media melt down on 02/07/2013 by Jo Murphy.